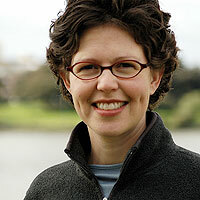 Justine Jacob is an independent filmmaker based in the San Francisco Bay Area. Following Runners High, Jacob directed and produced Paper or Plastic? (2008 LA Film Festival). She participated in the 2006 Sundance Producers Conference, and served two years as President of the Bay Area Women in Film and Television.